Physiotherapy practitioners need physical therapy software to identify patients’ needs for treatment and to simplify treatment delivery. This type of software helps therapists diagnose and then recommend appropriate treatments to patients. Physical therapy software can also provide patients with information on treatment plans, claims and invoices, or home exercise recommendations. Physical therapy solutions usually provide basic invoicing features but can also integrate with medical billing and accounting software. Integration with electronic health records solutions allows for the importing patient health data. Physical Therapy reviews by real, verified users. Find unbiased ratings on user satisfaction, features, and price based on the most reviews available anywhere. With more than 65,000 members at 9,000 clinics, WebPT is the leading rehab therapy platform for enhancing patient care and fueling business growth. Ideal for outpatient organizations of all sizes, WebPT makes it easy for therapy professionals to transition from paper and outdated software to a user-friendly, cloud-based solution. With WebPT, therapists, directors, owners, billers, and front office staff have access to patients’ medical records anywhere, anytime, from any web-enabled device. WebPT’s web-based application alleviates any large, upfront investments; costly IT support; or bulky, in-office servers. It provides an integrated method to manage patient documents and progress as well as clinic schedules, analytics reporting, and billing. WebPT has an intuitive workflow, allowing therapists to efficiently create compliant and consistent documentation. In addition to documentation, WebPT offers a front office package that includes the tools necessary to run an organized clinic, including a multiuser scheduler with appointment reminders and the ability to upload external patient documents. Through WebPT’s suite of reporting tools, therapists and staff can track productivity, cancellations, and no-shows as well as referrals. 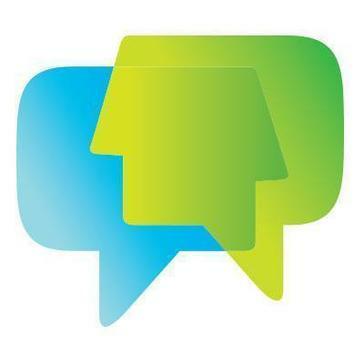 Therapists can also benchmark and track patient progress through WebPT’s outcomes tracking product. Lastly, WebPT’s billing options—including the WebPT Billing Service and integrations with several certified billing partners—ensure clinics receive reliable, accurate claims submission and processing as well as speedy, maximized reimbursements. With WebPT, rehab therapists have a modern, intuitive platform that’s well-suited to their needs, empowering them to be better in business—and more importantly, enabling them to spend less time on documentation and more time with their patients. Headquartered in the historic Warehouse District in downtown Phoenix, WebPT has a 99.9% uptime rate and a 99.5% customer retention rate. It was named to the Inc. 5000 list of the nation's fastest-growing companies four years in a row. INSIGHT EMR and Billing platform by Clinicient is an integrated web-based EMR, practice management and billing solution that empowers outpatient rehabilitation practices. Clinicient helps outpatient rehabilitation therapy businesses optimize their clinical and financial operations through a combination of cloud-based EMR, practice management and revenue cycle management (RCM) solutions. This all-inclusive approach has enabled thousands of therapists across the country to deliver more effective clinical outcomes, and maximizes their collection of nearly $1 billion in payments annually. Casamba Clinic is a therapy management solution that provides you and your facilities with tools needed to manage the provision and billing of therapy services. 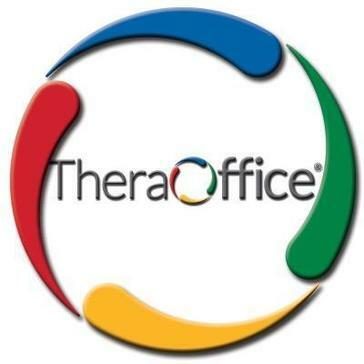 TheraOffice is a EMR, practice management solution designed for physical therapists to help you manage your practice your way with tools to manage productivity and efficiency on the clinical and business sides of your practice. DrChrono is a patient care platform that offers customization at the point of care and on the go. DrChrono also includes scheduling, billing and patient reminders. Your all-in-one practice management suite! Combining EMR, Scheduling, Reporting, and Billing to create efficient PT practices. ClinicSource Therapy Practice Management Software by Ingenium Business Solutions, Inc. provides a therapy-specific system with customized reporting templates for multiple therapy types. TherapyRehab Plus is an integrated practice management and EMR software solution that helps you manage your practice operations, workflows for both your clinical and administrative departments. Exercise Pro is designed for physical therapists and other fitness professionals to provide video and printed exercise programs with clear instructions, proper exercise form and more for rehabilitation and fitness. Physical Therapy Suite is a software solution for therapy rehabilitation therapy practices that provides scheduling, clinical documentation, billing and collections and more to help you manage your practice. ReDoc is an EMR solution that provides outpatient hospital therapy departments the ability to document patient care while managing compliance and reimbursement. Apollo Practice Management is a SaaS-based software solution that allows you to access your account securely and manage finances, patient load, staff responsibilities and scheduling allowing you to focus on your practice while managing productivity and profitability. OptimisPT is an EMR physical therapy software solution with built-in clinical decisions support and compliance features to help manage your practice and risk. PracticePerfect is an EMR and management software that gives you tools you need to manage effectiveness, efficiency and profitability of your practice while also manage compliance and patient care. Intuitive and easy to use exercise prescription software designed by physiotherapists. TherAssist Software is a practice management and documentation software for physical therapy and rehabilitation industry that provides custom electronic medical records solutions to fit your practice needs. 3D Practice is an integrated chiropractic software that helps educate patients with 3D models and other features. All in one PT Software for Scheduling, Billing, EMR, and Reporting. CarePoint is a therapy management software that helps manage profitability with tools that deliver patient care with clinical and management reporting tools and more. Chart Links is a rehabilitation software that automates workflow for referrals, insurance authorizations, cross-discipline scheduling, documentation, charges, and more. Clinic Controller is an integrated EMR practice management system that provides, scheduling, billing, documentation, and reporting to help you manage your clinic. A physical therapy solution that replaces typical HEP handouts and engages patients between visits for better outcomes. MediLinks is recommended for multi-site practices or larger enterprises with at least 10 therapists. A deep library of documentation templates support PT, OT, SLP and Pediatrics. The web-based pediatric therapy software system built specifically for pediatric speech, occupational, and physical therapists. MWTherapy is a cloud-based software solution for your therapy practice that is integrated with EMR, documentation, billing, and scheduling to help you manage your practice. NeuroAtHome allows clinicians to prescribe rehabilitation exercises that can be completed from home with patient assessment and a progress tracking to help you manage your patients. Optima Therapy for Outpatient enables therapists and staff to do their jobs efficiently and accurately. Our software provides anytime, anywhere access to documentation, even while disconnected, and workflows that streamline patient care and save valuable time. From referrals to scheduling to documentation and billing, find out why we’ve been the #1 therapy software provider for 25 years. Phydeo enables health professionals to simply and quickly prescribe millions of exercises to their patients in less than 15 seconds. Planetrehab Practice Management Software, which was designed for Physical and Occupational therapists, has all the pieces you need to manage your single or multi-clinic therapy company. Since 2004, Planetrehab has helped clinics throughout the country reduce expenses, increase productivity and improve patient care by using our software and service. Our comprehensive but easy-to-use practice management software combines scheduling, treatment documentation, electronic and paper billing, patient management, insurance management, single or multi-clinic management and extensive reporting for unlimited users and unlimited workstation installations. And you do not have to worry about trying to make software from different vendors work with each other because Planetrehab was developed to include all the pieces a therapy company needs without having to interface with other software. There are no modules to buy, no large up-front hardware costs and no exorbitant licensing fees. We have an installed version and a web version and they can be used together. Our service includes unlimited toll free telephone technical support, updates, upgrades and training. Our software integrates with our billing and collection service. When you use our software, we cover all fees associated with billing submissions and all collections work, which includes claims statusing, follow up on slow pays, resubmits, appeal of non-pays, reconciliation of EOBs (entering payments), secondary insurance billing, paper billing and patient-owed balance billing/statements. Also you have access to our team of experienced management consultants that will help you identify and correct potential lost revenue and maximize per visit submissions and to our expert management staff that has experience identifying and correcting deficient areas of your practice. QNotes Office is an office and EMR solution that provide secure medical records and patient charting, with protection against medical audits with transcription features like document export and more. SonoSoft Physical Therapy EMR is an EMR software solution that provides a point and click solution to help you manage documentation of daily treatment through modifiable templates and drop downs. Systems4PT is a physical therapy software solution that integrates documentation, scheduling, billing and collections into one system to help you manage your practice. Web-based exercise prescription software for creating highly professional, customized, branded PDF rehab programs for e-mail or print. WritePad is an EMR system that provides randomized-text exam note and report generation systems that can help you manage efficiency and costs. 3DRX Insight provides a 3D animation video library and rehab exercises tool that helps educate patients about their specific condition and the required exercises for proper rehabilitation. 5 minute consult is an integrated digital resource to help guide primary care professional in daily decision supports and helps you provide patient care by providing quick trustworthy answers when your clients need it. AcuBase Pro is a medical billing and practice management software that lets you control your daily mission critical management tasks from one location. ADiBAS Posture is a solution that helps you analyze the 3D posture in an automatic way allowing you to keep track of treatment and help the patient understand the problems they are trying to fix. bestPT is a web-based solution provides you with billing services, practice management software, patient education, and profitability coaching to help you manage your facility. BPM Rx is a web-based PT software solution that provides circuit training, garage workouts, and exercise handouts for your clinic or practice. Web-based EHR that can interface bi-directionally to more than 1,500 other software systems of healthcare providers. Designed with the APTA, AOTA and ASHT, CONNECT is the rehabilitation industry’s gold standard for EMR software. Our EMR includes PT, OT, CHT and SLP documentation, and is completely customizable, allowing you to cater it to your hospital outpatient rehab or private practice clinic. Cedaron currently is the only specialty rehab EMR provider certified for Meaningful Use as well as the only system with access to the APTA National Outcomes Database; two features that make us the only specialty rehab EMR ready for MIPS participation. We interface with all major hospital EHRs including Cerner, Epic, Meditech, Allscripts and more! Additionally, Cedaron has developed a full analytics engine to help you manage your clinic and track outcomes. Use Cedaron’s CONNECT to streamline your workflow, increase profitability, and improve patient care. DocuRehab is a web-based practice management, EMR system that allows you to track billing, appointments, patient care and administrative paperwork in one place with reporting functions to allow you to keep control of your practice. DocuRehab is a picture-based, cloud supported EMR/EHR system used by health care professionals. The eTherapyDocs was designed from the ground up to address the needs of small to medium sized pediatric physical, occupational, and speech therapy practices. Designed to manage musculoskeletal episodes-of-care providing outcome monitoring, communication, and analytics capabilities. FortéEMR is a chiropractic patient documentation management system that helps you manage your office's cash flow, business cost efficiency, and time. Hi there! Can I help you find the best Physical Therapy solutions?